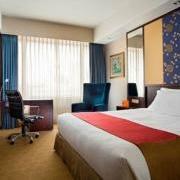 Make a direct online booking at the Robert Quay Hotel in Singapore and enjoy rates as low as SGD130 (USD105) per night. 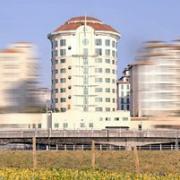 The quoted price is for single or double occupancy in a Standard Room inclusive of buffet breakfast for two people. A 10% service charge and 7% local taxes are additional. This promotion is available until December 31, 2012. 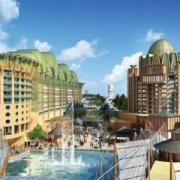 Until June 30, 2012, stay at any of the Resorts World Sentosa Hotels and save 20% on a booking of 2 nights or 30% on a booking of 3 nights. Participating hotels include Hotel Michael, Festive Hotel, and the Hard Rock Hotel Singapore. After applying the maximum discount, rates start from SGD252 (USD203) for a Deluxe Room. A 10% service charge and 7% local taxes are additional. Make an online booking at one of the 5-star Park Hotels in Singapore and enjoy guaranteed best rates and a complimentary room upgrade. Nightly rates start at SGD225 (USD182) at Park Hotel Clarke Quay, SGD255 (USD205) at the Grand Park City Hall, and SGD320 (USD260) at the Grand Park Orchard with an upgrade to a Deluxe or Premier Room. This promotion is available until December 31, 2012. Book the ‘Culture @ Village’ package at the Albert Court Village Hotel in Singapore and enjoy complimentary buffet breakfast, internet access, and a trishaw tour of the city. 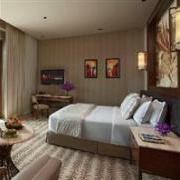 Nightly rates start from SGD230 (USD187) for double occupancy in a Deluxe Room. 10% service charge and 7% local taxes are additional. This promotion is available until June 30, 2012. The 5-star Equarius Hotel at Resorts World Sentosa, Singapore, is officially open and celebrating with an opening discount of 30%. Promotional rates start from SGD336 (USD272) for a Deluxe Room or SGD378 (USD307) for a Deluxe Garden Room. A 10% service charge and 7% local taxes are additional. This promotion is available on select dates now through March 31, 2012. 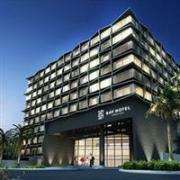 The brand new Bay Hotel Singapore opens its doors on February 15, 2012, and is celebrating with special opening rates. For just SGD228 (USD182), enjoy one night in a Standard Room, buffet breakfast, internet access, complimentary mini-bar contents, and 2 pieces of laundry per day. A 10% service charge and 7% taxes are additional. This promotion is available until March 31, 2012. Save 25% off best available rates at the Royal Plaza on Scotts Hotel in Singapore when you stay for three nights or longer. 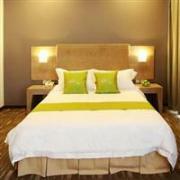 After applying the discount, rates start from SGD285 (USD225) for a Superior Room. A 10% service charge and 7% taxes are additional. Rates include free internet, local calls, Nespresso coffee, and mini-bar. The ‘Spring Promotion’ is available from February 2 – April 4, 2012. The new Cultural Hotel in central Singapore is offering online rates from SGD120 (USD95) for a Superior Room, SGD125 (USD98) for a Deluxe Room, and SGD225 (USD177) for a Family Room. Rates include breakfast, internet access, and late check-out until 2pm. A 10% service charge and 7% local taxes are additional. “Best Internet Rates” are available now through June 30, 2012.